Paris, November 24th 2017 – Last night, the Prix du Meilleur Livre Etranger Sofitel (Best Foreign Book Prize Sofitel) was held at Sofitel Paris Le Faubourg in the presence of renowned personalities from the literary and publishing world. 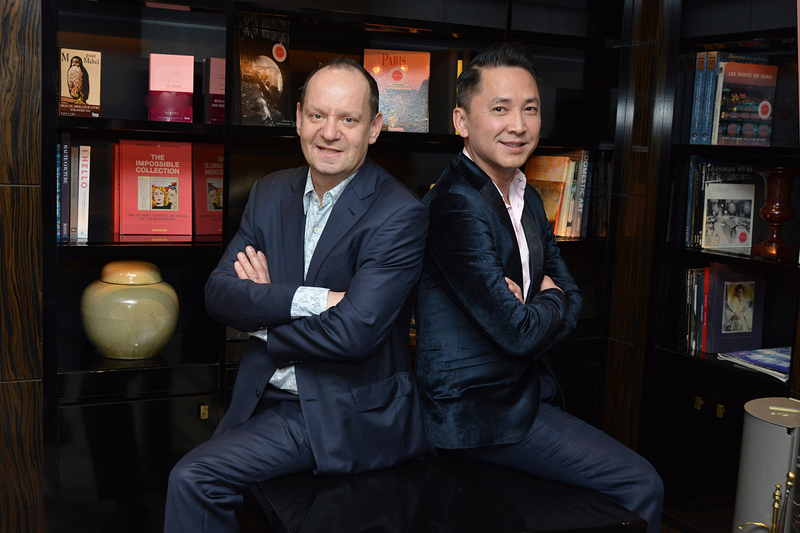 Under the aegis of the Literary Escapes by Sofitel, this prize was awarded to the American, Viet Thanh Nguyen, for Le sympathisant (Belfond) in the Novel category, and to Franco-British Philippe Sands, for Retour à Lemberg (Albin Michel) in the Essay category. Created in 1948 by a group of literary editors from several publishing houses, the Prix du Meilleur Livre Etranger was one of the first awards to honour foreign literature books. Since 2011, the prize has been supported by Sofitel and awarded at Sofitel Paris Le Faubourg. Each year, this literary prize awards a novel and an essay published abroad and translated into French. Many critics and prestigious publishers have been members of the jury, such as Maurice Nadeau and Raymond Queneau. In keeping with this spirit, this year’s panel included eleven members from the literary world: Catherine Enjolet, Daniel Arsand, Gérard de Cortanze, Joël Schmidt, Christine Jordis, Jean-Claude Lebrun, Anne Freyer, Joëlle Losfeld, Alexis Liebaert, Nathalie Crom, and Manuel Carcassonne, Publisher and Managing Director of Editions Stock. The Prix du Meilleur Livre Etranger Sofitel is one of the most recognized awards in World Literature. Sofitel has established an authentic, legitimate bond with the literary world. This bond is fuelled by Sofitel’s resolve to pursue the development of the brand’s Cultural pillar. Literary Escapes by Sofitel was created in 2008, with the kind involvement of two novelists, Catherine Enjolet and Denis Labayle. Their ideas coincided with a desire shared by Sofitel General Managers to invite writers to discover their destinations and inspire them to write, just as they welcome guests throughout the world. In a series of literary escapes, authors have shared their experiences and fondest memories, transporting the reader with images borrowed from the locations, events, characters and wonderful encounters that breath life into places they’ve stayed. More than sixty writers stayed in Sofitel hotels in the context of this operation, producing short stories that were published as a collection. In parallel, more than fifty Literary Cafés have been set up throughout the world since 2008, enticing over sixty writers, among which are some of the greatest figures of contemporary literature. Last but not least, two other awards complete the Literary Prizes: the Prix Littéraire Sofitel Casablanca Tour Blanche, a celebration of the art of writing which contributes to Casablanca’s cultural enrichment and ensures the far-reaching influence of francophone-Moroccan literature across the world; and the Prix de l’Escale Littéraire Sofitel d’Alger inaugurated in 2013 as the result of a joint desire between Sofitel and players from the publishing world to promote the Algerian literary scene.